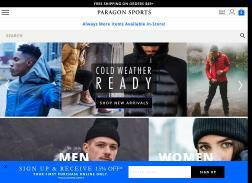 Paragon Sports is a sports retailer that sells apparel, gear and accessories for activities including boating, camping, darts and tennis. It also includes several specialty stores such as a fan shop, winter shop and travel shop. Customers have reviewed the company positively for its excellent customer services and timely deliveries. Save On Adidas Footwear and Apparel Summer Sale! Get 25% Off Nike. No Promo Code Needed. Get up to 25% Off Marmot. Get 20% Off One Item. One Use Per Customer, Non-sale Items Only. Huge Camping Sale! Get up to 40% off 100’s of products including Tents, Bags, Boots, Coats and more. Slope Style! Get 25% Off Burton + 20% Off Spyder Apparel. Get $12 off adidas F10 TRX FG Soccer Men’s Cleats. Buy 2 icebreaker socks and get another free. Get $18 off Nixon Quad Watch. Outdoor Adventure Sale! Get Up to 30% Off Gear, Apparel, & Footwear, Up to 25% Off Tents, Up to 30% Off Packs, Up to 20% Off Sleeping Bags. Get $15 off Mizuno Wave Inspire 9 Running Men’s Shoe. For a Limited Time Only! Get up to 25% Off Patagonia. No Promo Code Needed. Shop Now Before its Too Late! Get up to 25% Off Patagonia. Get Up To 30% Off Running Footwear and Apparel. – No Code Needed! Get $17 off Timbuk2 Blackbird Laptop Backpack. Shop & Save Big On Nike Footwear and Apparel during Summer Sale! 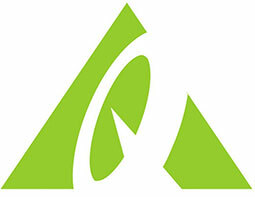 Get up to 25% Off Marmot. No Promo Code Needed. Shop & Save On New Balance Footwear and Apparel during Summer Sale! Get $29 off Scarpa Moraine Mid GTX Hiking Women’s Boot.